Deliciously fruity, you don't have to be Italian to enjoy this popular dressing! 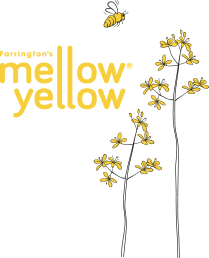 By partnering Farrington’s Mellow Yellow cold pressed rapeseed oil with Aspall Apple Balsamic vinegar, we have created a modern British twist on the classic Italian salad dressing. Packed with a punch of garlic and balanced with basil, it will make your humble tomato salad sing with flavour. Or get your creative juices flowing and try drizzling it over a slow roasting chicken or fish. A versatile and popular choice. Mellow Yellow Rapeseed Oil 51%, Apple Balsamic Vinegar 38% (Cyder vinegar, dessert apple concentrate, water, colour: caramel), mustard (water, mustard flour, spirit vinegar, sea salt, mustard husk, spices), unrefined sugar, garlic, sea salt, basil, black pepper.